Investors in the U.K. might be holding back until Brexit is settled, but the British embassy in New York is doubling down. 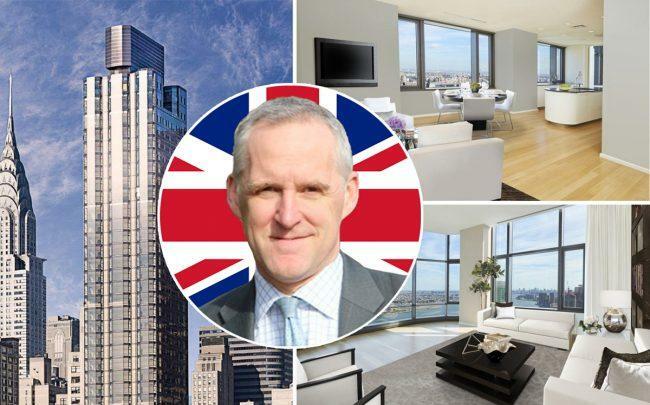 The British Consulate-General in New York purchased a sponsor unit penthouse on the 38th floor of 50 United Nations Plaza for $15.9 million. It is unclear who will live in the apartment, but a power of attorney document was signed by Michael Tatham, the deputy British ambassador to the United States. The unit was originally listed at $25.2 million in 2016 by Zeckendorf Marketing, approximately $4,280 per square foot. The price has dropped to $18.9 million by 2017. The British consulate paid $3 million less than the final listing price, at around $2,700 per square foot. The apartment spans almost 6,000 square foot and has five main bedrooms, two “staff” bedrooms, and six-and-a-half bathrooms. It has views of the East River and the United Nations Secretariat Building. Amenities at the building includes a swimming pool, gym, spa and wine cellars. Developers Zeckendorf Development and Global Holdings purchased the site for $160 million in 2007. 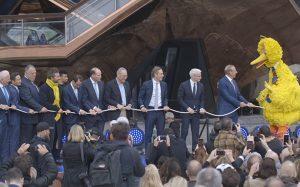 Sales at the building, which began in 2013, were initially sluggish. The priciest unit, a 15,000 square foot triplex apartment was initially listed at $100 million in 2013. The units were eventually broken up into a duplex top-floor penthouse and a full-floor pad below. The duplex first listed at $70 million before facing a few price cuts to $63 million. The United States federal government currently leases one of the units, a 6,000-square-foot penthouse as an official residence for the U.S. Ambassador to the United Nations. A separate constitutional monarchy headed by Queen Elizabeth was criticized for buying at the building. In 2015, members of New Zealand’s Labour party called the government’s purchase of an $8 million apartment on the 18th floor “extravagant” and “out of touch.” The head of the country’s mission to the U.N., Gerard van Bohemen, lives there.